Whoa. Mogulus looks like a formidable competitor to Ustream. Looks exciting. I'll have to try it out. I'm surprised no one has commented on this much yet. 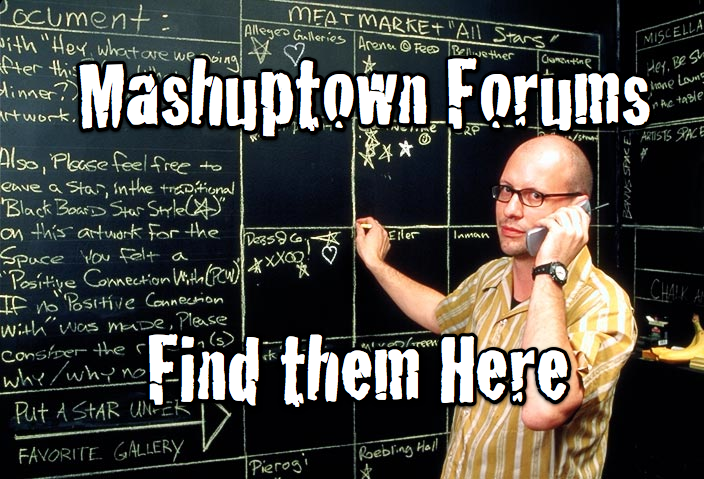 Really great idea, Mashuptown! 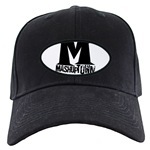 Congrats on moving mashupTV to Mogulus. I have a feel live video on the net is about to explode. Word. Thanks for the artwork with the song! would you like to trade links with my site " Charlie's Links " ? i already added your site. Wow. I went back and searched the mashuptown archives and there are so many sweet mashups. DAMN! Mashuptown... I love your songs... all ov them! I don´t no really know what i think better the video or the mash from Mister le Clown! Hi Guys! I'm Oceanboy, i hope You'll enjoy my mash-ups!! !Have a nice weekend! i'm a new one, just only discovered this mash mixes a year ago. thanks to virtual dj software, i can mash & mix songs already. Thanks for the song! I keep playing it over and over! I'm a college student writing my senior thesis about mash-up music and would love your feedback. Any comments or opinions on the following questions would be most appreciated!! --Why do you like mash-up music? --What makes a good mash-up? --How did you learn about mash-up music? Thanks so much for the perfectly done information close to this good post. But to see the perfect essay writing some students must know about buying essays. wow..that was a nice vid! thank you for posting! Mashuptown.. they never fail to entice my ears.. Thanks much for the post.. One time! If you are willing to buy a house, you will have to get the loan. Furthermore, my brother commonly uses a secured loan, which supposes to be really useful. I am a Fort Worth DJ and love playing mashups, just wish it would catch on more in the south. Great video, lots of humour and well produced all round. Where can I get this in mp3? Good stuff, thanks for sharing.. I really enjoyed the video.. you guys rule! Awesome video, and thanks for sharing.The project is very successful and it produce a very high quality photograph. see http://mybabydoc.com/ and forget about worries. It has Star Wars and 300 in it, not the same time frame??? Hello Admin. I like the contents of this video. Truly amazing and informative. Thanks for sharing. Hi there. Truly a mashup video. So much is seen there. Thanks so much. What a great blog. Find out more music and concert reviews at Northwest Concert & Events Blog. There is a lot of music updates to read on. Hi Dr. Art. Nice hair. Braided hair is so in especially now that it's summer time. Mobility Products - Online mobility shop Mobility Buyer! Our mobility shop offers a range of mobility equipment, mobility products and living aids to help with independent living. Offering mobility and disability equipment for home delivery.